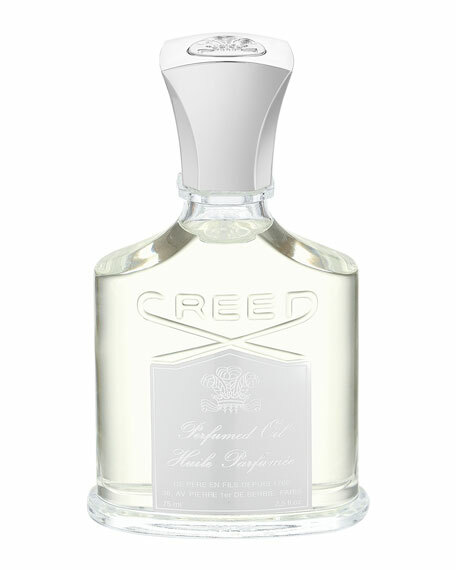 Creed perfumed oils are a contemporary offering to meet the demands of today's eco-minded clients. An alcohol-free way to enjoy Creed fragrances in natural oil blends, Creed perfumed oils provide gentle soothing and mild conditioning to the skin. Creed offers Spring Flower perfumed oil, scented precisely to match the delightfully feminine and floral Spring Flower fragrance that is a world renowned Creed signature. Spring Flower Perfumed Oil is available as a 2.5 ounces / 75 ml vapor spray. The result is a fragrant oil rich enough to spray and enjoy on its own or to layer with other Creed Spring Flower grooming goods as part of a daily regimen of beauty.